See Wikipedia Article Windows Registry. 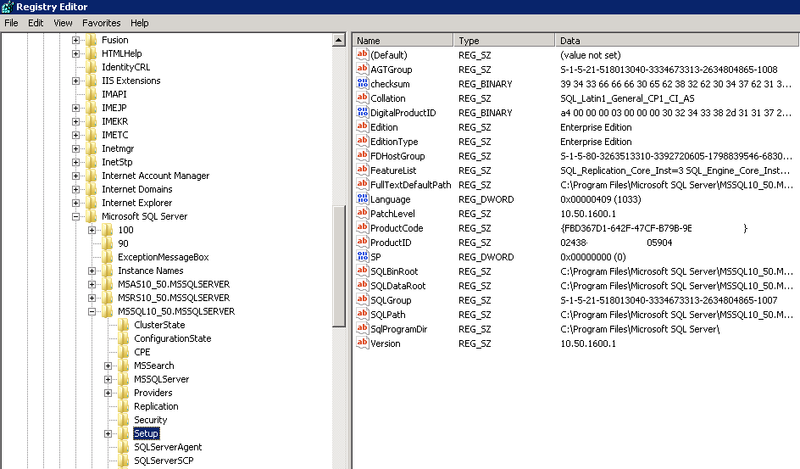 To View SQL Server related registries. Edit Login Mode registry value. Restart SQL server and agent services your default SQL server authentication mode has been changed. You can change for each instance of SQL server. Note: Serious problems might occur if you modify the registry incorrectly. So do not modify any registry if you do not understand it. The below query is used to change authentication mode from mixed to Windows only. The below query is used to change authentication mode from windows only to Mixed back. Each time you execute query,restart the server and check.